This comic peripherally references Life in Hell, the great and recently-concluded weekly comic strip by Matt Groening. The overmatched protagonist is wearing a Bongo costume. After I drew this comic, I found out that Groening's strip was ending its 32-year run. 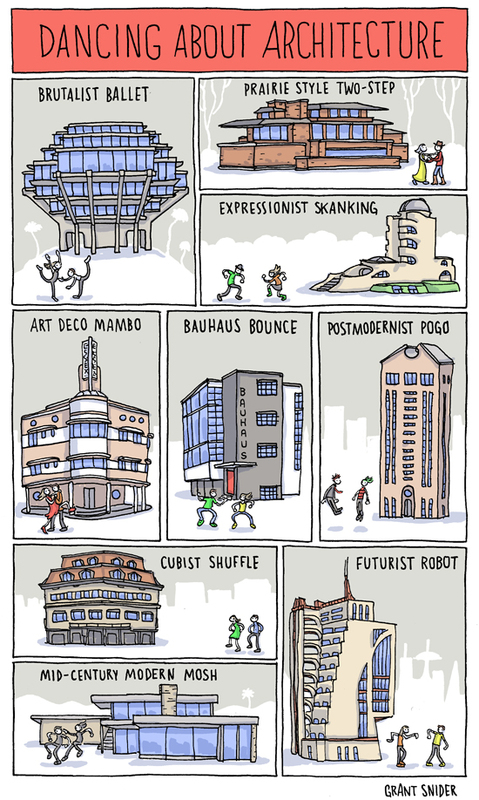 "Dancing about architecture is awesome." 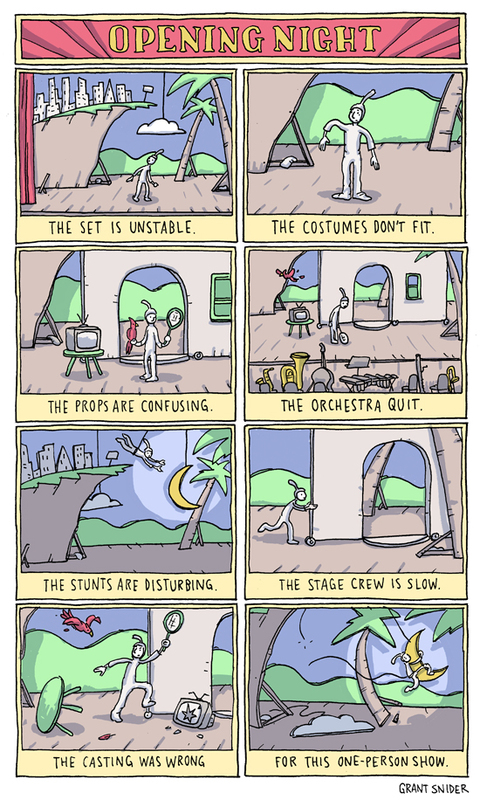 You can get a poster here for your architecture/dance studio. 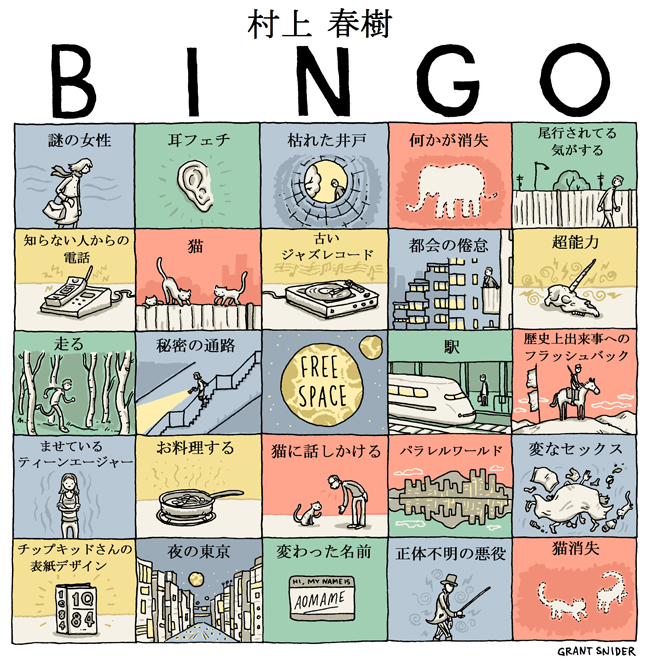 I coerced a friend and classmate (who wishes to remain anonymous) into translating my Murakami Bingo comic into Japanese. Big thanks to this mysterious person for her hard work! The translated version is also available as a poster. 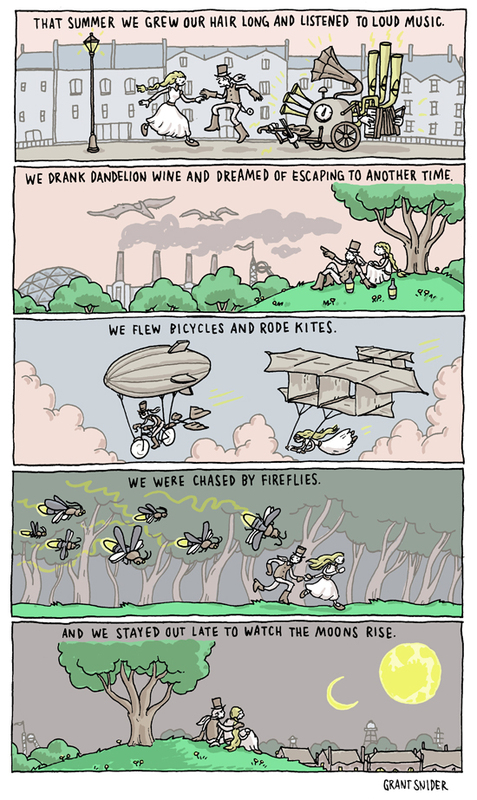 For a great introduction to this science fiction subgenre, I recommend Steampunk! An Anthology of Fantastically Rich and Strange Stories edited by Kelly Link and Gavin J. Grant. Kelly Link's story "The Summer People" is phenomenal, as is the rest of her work. I've spent the last few years devouring the books of Haruki Murakami. 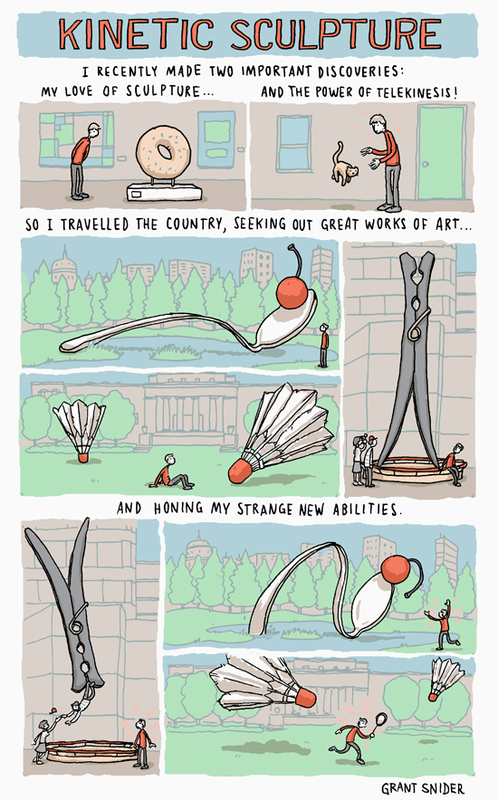 Twelve novels, three short story collections, and one memoir later, I came up with this comic. 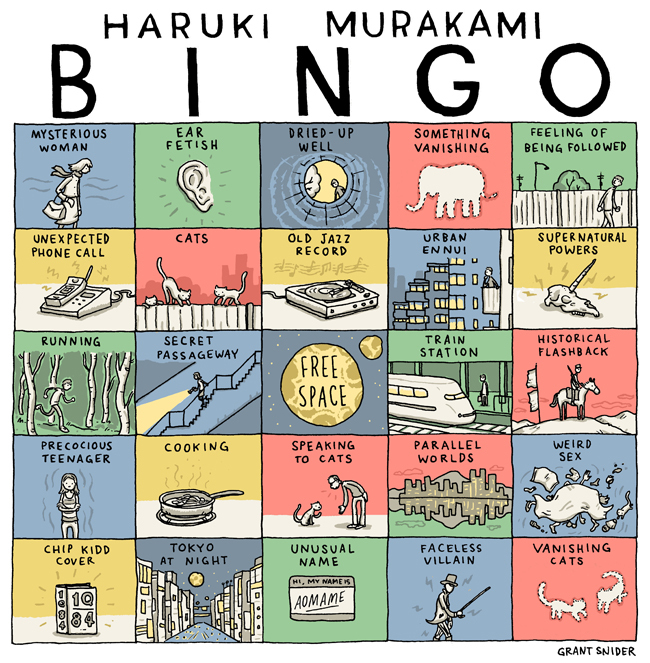 If you have yet to experience the genius of Murakami, keep this Bingo card handy as you delve into his work. I recommend starting with The Wind-Up Bird Chronicle, Kafka on the Shore, or Hard-Boiled Wonderland and the End of the World. You can find this comic in print in Sunday's New York Times Book Review.